If you’re planning your big anniversary day and need some great suggestions, look no further. 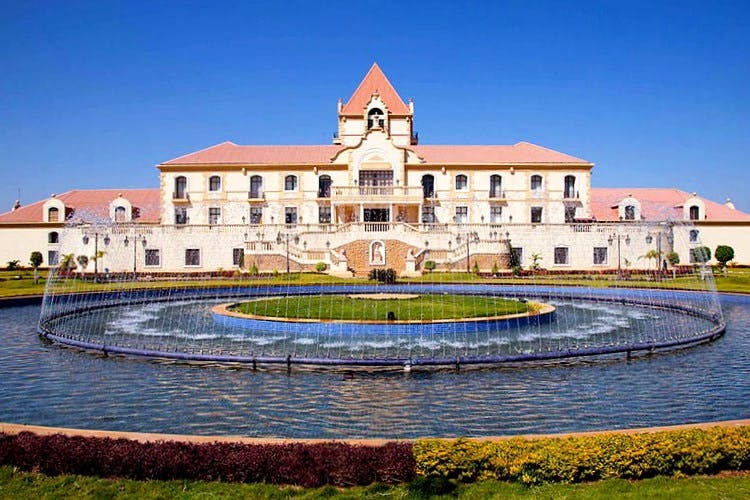 Set against the backdrop of the majestic Sahyadri range, the Four Season Mansion and Vineyard at Baramati is no less than a breathtaking palace, straight out of a postcard from some far, far away lands. The Four Seasons Vineyard, spread across 50 acres of land, is downright splendid! The spectacular French chateau designed by Indian architect, Navzer Irani, has a certain old-world charm to its exquisite sophistication and grace. From white stucco facade, high vaulted roofs, and arched corridors, this mansion is as dreamy as a fairy tale. The winding wooden staircase will lead you to the luxury suites that overlook the vastness of the vineyard. Needless to say, the decor of every room is very royal and designed to perfection. The mansion also houses a tasting and dining room that boasts of dazzling chandeliers and deluxe furniture settings. There is also a beautiful terrace garden on the western side that overlooks the valley, which we thought was perfect for sunset views with the beloved by your side. The high-end winery is set in the basement of the mansion and is well-equipped with ISO 22000 certified facility. It is said that this world class winery has the capacity to produce 2,500 bottles per hour. Now, that’s impressive! The wine tour package by Four Seasons include an overnight stay at either their suites or residential rooms. The package will include an exploration of the region on mountain bikes, a walk in the vineyard, poolside barbecue, wine tasting session, breakfast, lunch and dinner. Prices for rooms start at INR 5,000/night; suites start at INR 8,000/night.